After suffering an injury, you don't have months to wait for an insurance company to deliver you the compensation you need to survive and to pay your medical bills and other costs. Insurance company delays and refusals to pay can add undue stress and worry to situation that is already physically and emotionally challenging. Insurance companies are known to play dirty—despite the fact that they know how urgently you need a settlement, they will typically look out for their own best interests first. Insurers will often bully injured people and their families into accepting lowball settlements out of desperation and the dire need for funds. 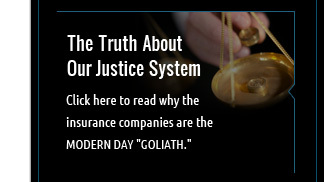 Insurance companies are in business to make money, and are primarily concerned with their own bottom line and profits, no matter how they present themselves in the media. It is crucial that you do not become a victim of these activities by accepting a settlement that is far lower than you deserve. Los Angeles personal injury lawyer Mr. Lagstein can fight to secure fair compensation and is prepared to take the case to court if the insurance company will not come through with a fair offer. 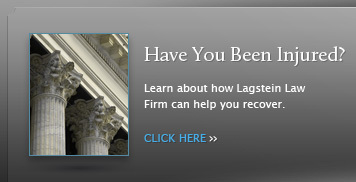 How can the Lagstein Law Firm help you? The firm has provided high-quality, personal legal representation to the injured and their families in a broad range of personal injury claims including—but not limited to—injuries from car accidents, truck accidents, motorcycle accidents and bicycle accidents, as well as cases of birth injuries resulting from a medical breach of duty, burn injuries, broken bones, and claims arising from construction accidents, defective products, drowning accidents and drunk driving accidents. He also provides aggressive advocacy to the injured in cases of medical malpractice, pedestrian accidents, bus accidents, premises liability, slip & fall accidents, dog bites and other animal attacks. Those who have suffered the long term or permanent damage of brain injuries, spinal injuries or traumatic brain injury will require a high-value settlement, as the expenses for ongoing medical care, nursing care and the costs of living must be covered a level that allows the injured the best possible quality of life and the treatment and compassionate care that they need. Families who have lost a loved one through negligence have the right to sue for wrongful death in civil court. The statute of limitations in California only allows a specific period of time in which to file such claims, and you are urged to contact the firm as early as possible after the tragic loss of your loved one. The firm also represents those who have suffered injuries and other damages through nursing home abuse. If your injuries are the result of another person's negligence, mistakes or recklessness, you are entitled to full compensation for everything you have suffered as a result. Your claim can include damages for your economic losses, such as your medical expenses for emergency treatment, hospitalization and any treatment you will require in the future, as well as compensation for your lost income and reduced earning power. You can additionally demand compensation for pain, suffering and disfigurement, and even punitive damages in some cases. Unfortunately, there is no guarantee that you will receive the amount you deserve without taking legal action. After an injury, you have a multitude of financial obligations to worry about. You may wonder how you can afford medical bills, missed wages and other expenses related to your accident and injury. If you think that your accident was the result of someone else's carelessness or negligence, you may be entitled to money. That's why a Los Angeles personal injury lawyer from Lagstein Law Firm is ready to give you a free intimal case evaluation. 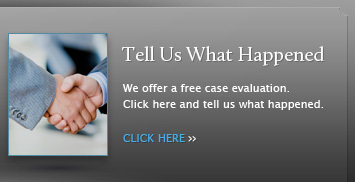 Just fill out our online case evaluation form to contact the firm directly. 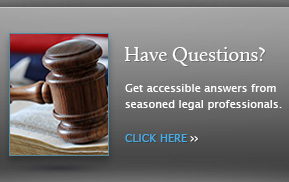 An attorney from the firm can help you understand your legal circumstances, rights and options. 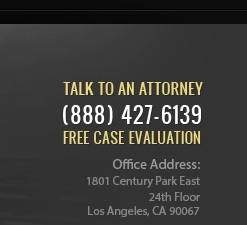 Call a Los Angeles personal injury lawyer from Lagstein Law Firm today and see what a top-notch legal advocate can do for your case. Not sure if you have a case? Fill out a case evaluation form today so that an experienced injury lawyer can give you the legal guidance your case needs. When pursuing a personal injury settlement based on a case of negligence, it is in your best interests to seek high-quality and committed legal counsel, to aggressively pursue the compensation that you are due. You have too much at stake to take any chances with the outcome of your claim. Mr. Lagstein is an accomplished litigator and fights tirelessly on behalf of injured victims. If you need help from a trusted Los Angeles injury attorney who will safeguard your personal interests and fight for your right to fair compensation, and is sincerely committed to you, your family and your future, come to Mr. Lagstein. With his extensive experience and proven track record of success, he knows how to get the results you are looking for. 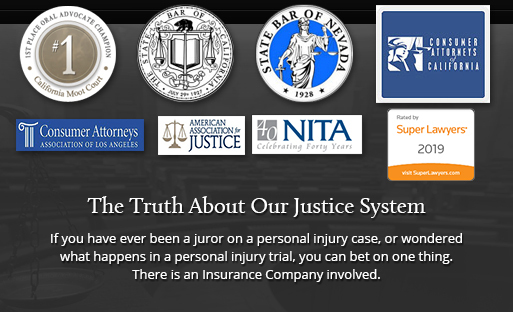 Contact a Los Angeles personal injury lawyer from the firm without delay. A free case evaluation should be done immediately, and prior to providing any information to an insurance company. The firm is proud to reprsent clients throughout Hollywood, Glendale, Burbank, Studio City, Santa Monica, La Cañada, Pasadena, Beverly Hills, West Hollywood, Inglewood, Culver City, Toluca Lake, West Los Angeles, San Fernando Valley, Brentwood, and Westwood. Eran Lagstein quoted in "The Hollywood Reporter"
Located at 5900 Wilshire Boulevard, Suite 2600, Los Angeles, CA 90036.